How do I log in to My PPL account? To log in to My PPL, enter the 14-digit barcode from your card and your password/PIN. Your password is the PIN you use with your library card number or username to manage your account online. If you do not yet have a password, you will need to create one before you can access your account. Your password can be 4-30 characters (numbers or letters, but no symbols). If you can’t remember your password, you can reset it. Click the Forgot your Password? link. You’ll get an email with a link in it that will enable you to create a new one. You may also call the Lending Desk at 207-871-1700 x730 and ask for help with creating or changing your password. Registration is a one-time process that allows you to create a simple username to use instead of your barcode. Registration is not required to search the Catalog. However, you will not be able to place holds or renew items unless you register (or continue to use the classic catalog). The first time you log in, you will be prompted to register by creating a username, and entering your birth-month and year, and your email address. After that, just type your username and password to log in. A username must be unique. It may contain letters, numbers, or underscores ( _ ). But it cannot be only numbers, and it cannot contain spaces or other special characters. A username is required to register your account. After that you may log in with your library barcode if you prefer. Should I use my real name or a username? If you choose to contribute comments, public lists, or content, your username appears beside your contributions and will be visible to other members. You may change your username at any time. Any content you have already contributed will show the new username. There are several privacy settings (see below) that give you control over when your username is visible to others. Why are you asking for my birth-month and year? The library does not require your birth-month and year for registration. But if you do not provide it, the system will assume you are under age 13, and for safety reasons, some features will not be available to you. Children under 13 are not able to send or receive messages, create a free-text username, or write comments. 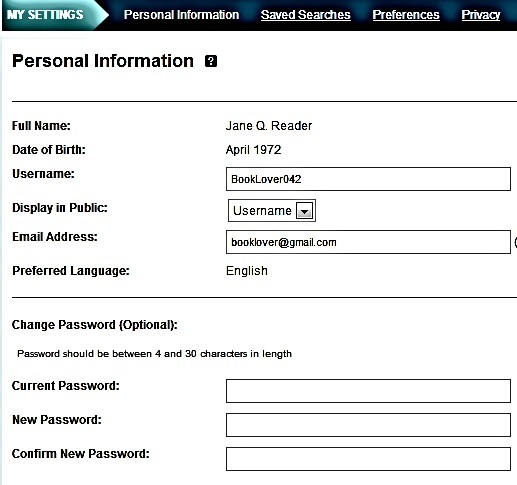 Why can’t my child type a username when registering? For users in the United States, the Children’s Online Privacy Protection Act (COPA) requires web sites that collect personal information from children to obtain parental consent. For this reason, children under 13 are not allowed to display their real names, nor can they type their own usernames, enter comments, or add other kinds of content that require typing, since these could be used inappropriately. To generate a username, a child can select a combination of color and animal name. What are the new sharing features in our new catalog? One of the reasons we chose this new catalog is its ability to allow everyone to add content and to share their love of books, music, and movies. Patrons may use as much or as little of this as they wish, but it gives everyone the opportunity to personalize their use of the library in a variety of ways. It also provides the tools for patrons to add their own content and value to the catalog. Below are the highlights. For more options and greater detail see the Help pages. Keep track of everything you’ve read, watched or listened to (Completed Shelf); items you want to save and remember for later (For Later Shelf); and those you are currently enjoying (In Progress Shelf). See below for privacy settings. Create lists of items that have a common thread – share them with others, or keep them for your own use (e.g., research, favorites). 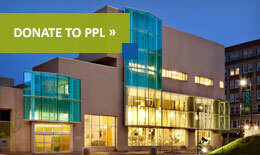 Check out the Explore page to see the most recent lists contributed by PPL patrons or staff. See below for privacy settings. Keep an ongoing record of everything you have borrowed (visible only to you). Add value to our catalog by adding tags to items. These become an additional source of information to help users discover titles in the catalog. For example, see how people have tagged The Imperfectionists. Your username will not appear with tags. Add your comments (reviews) to items both to share your opinion and help others discover new things. See how people have rated and reviewed The Lightning Thief. Your comments and username are visible to others when they read the comments section. 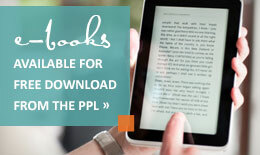 Connect with other library users about areas of common interest – send/receive messages and follow users with similar tastes. See below for privacy settings. What are my settings and how do I manage them? My Settings –> Personal Information is where you may change your username, email address, or password. 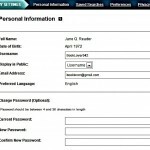 You may also decide whether to display your full name or username. My Settings –> Preferences will allow you to select your preferred location. Your search results will show whether a specific title is available there, and it will become your default pickup location. My Settings –>Privacy is where you choose to share or keep private your Shelves. You also decide whether to enable the Recently Returned feature. Recently Returned: The Library does not keep a record of your borrowing without your specific direction to do so. If you enable Recently Returned, our new system will maintain a list of the titles you borrow. The content of your Recently Returned page is visible only to you. If you decide to turn off the Recently Returned feature, your reading history will be permanently deleted from the system and cannot be restored. NOTE: Disabling Recently Returned does not remove the titles that are on your Completed Shelf. You must remove them yourself from the Completed Shelf page. My Collections: These settings determine whether titles you add to your shelves, and your comments on those titles, will be visible to others. There is a separate setting for each type of shelf: Completed, In-Progress, and For Later. Whenever you add an item to a shelf, you are given the option to override the setting and make it public or private. Shelves can contain both public and private items. NOTE: Items that you star-rate, comment on, tag, or summarize that are not already on your Completed Shelf will be added to it. They will be public or private depending on the setting of your Shelf. Lists: You decide whether a list is public or private when you create the list. The items in a list are either all public or all private – you cannot make a particular item private if it is in a public list. Following: When you are interested in what another user is reading, watching, or listening to, you can follow their interests. When someone you follow adds content to an item, that item will automatically appear on your Recently Shared page. Following someone is an anonymous process although you can send a message to their username. What are the Privacy Policies?